ProjectManager.com gives you tools to make project timelines in seconds. It’s simple to see all of your tasks according to the date they’re due, for easy scheduling. See how our project timeline maker can help you manage your projects by taking a free 30-day trial today! Project timelines offer an easy way to view task and project schedules. It’s one of the many charts used by managers for both project planning and for monitoring progress along the way. But making one can be difficult and time consuming if you’re using Excel to manage your projects. We’ll show you how to create easy task and project timelines for your team and your own work. But first, let’s define a typical project timeline and examine some of its key elements. A project timeline, sometimes referred to as a Gantt chart, is a visual representation of a collection of tasks, spread out over a period of time. This timeline can contain tasks and events that have occurred in the past as well as those that are projected to occur in the future. Timelines are often represented with a dateline at the top, with a series of tasks that are spread out horizontally underneath to represent a task’s duration. All combined, the last task duration in the collection should represent the end of that project or all the tasks involved in the work plan. So you can see easily, in one view, the start and end date of those tasks, as well as how long each task will take. What Are the Benefits of an Online Project Timeline? As you can see, once you create and distribute a timeline to your team, it’s almost as if you’ve provided everyone with a roadmap to the collective goal, which makes it easier for everyone to work together and understand the “big picture” framing their tasks. What Elements Are Needed to Make a Timeline? Once you have these sorted out, it’s time to make your timeline! You can make timelines in a number of ways, the most common being in Excel, on paper, with templates or with project management software. ProjectManager.com is the best solution if you are looking to automate your timeline creation in a capable software that’s interactive, collaborative and can be updated as the project unfolds. ProjectManager.com makes it easy to instantly create colorful, dynamic timelines to map out all of your tasks within a project. Our timelines can do a heck of a lot more than Excel can, too! And, since we’re a cloud-based project management software, anyone on your team can update their tasks anytime, anywhere. 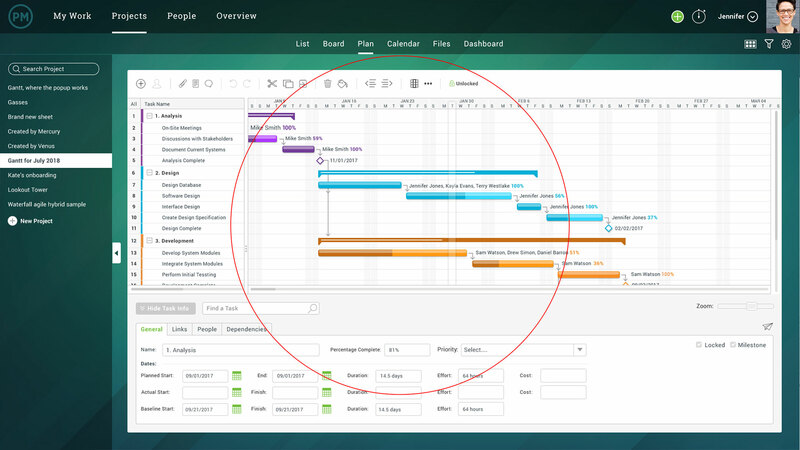 In order to make timelines, or Gantt charts, in ProjectManager.com, simply add tasks to the data graph on the left side and include the start and end date. Once you’ve entered that information, you’ll see your timeline automatically appear on the graph. Don’t worry if your dates change, you can simply drag and drop the timeline on the right to update it. You can add related tasks and group them into a phase as well. Here they will all exist together and you can make them dependent on one another too if you want. Breaking a long project down into phases is like breaking a project into several timelines. As you can tell, our project timeline software can do so much more than Excel or a template can, in less time! When you break it all down, it’s clear. ProjectManager.com give you all the tools you need to propel your project plan to success. Templates are static, Excel is time consuming, but our online software is dynamic and can breathe life into your project and your team. 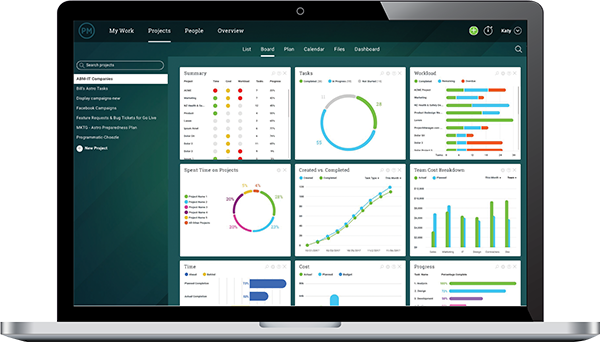 See how we can help you in every stage of your project management with a free 30-day trial today!